If you’re looking to purchase a new drone, here is the best place to do it! We’ve run these DJI drones through their paces, and have the following drones for sale at the best prices available! Mavic, Spark, and Phantom Series! The DJI Spark is my recommendation for those looking to get into drones, but not looking to break the bank. The DJI Spark is an awesome drone that you can fly both indoors and outdoors, all while learning how to safely fly your new drone. The advantage that the Spark has over something smaller like the Tello, is that you can fly it outdoors in some wind. The Tello is also a great learning drone, however you can’t fly it outside in anything but the tiniest breeze or it will get tossed around. The Spark on the other hand, can handle light winds and let you practice in wide open spaces. The Spark is definitely worth a look if you’re wanting a drone that is small and portable enough to fly both inside and outside! The DJI Mavic series drones are the ultimate in portability, to let your creative juices flow no matter where life takes you. The Mavic Air, a truly pocket sized drone, let’s you capture your adventures from aerial angles, without adding a lot of bulk to your backpack. The original Mavic Pro is still DJI’s most popular drone, and is a great little system for flying in all kinds of wind conditions. Want even more features? Take a look at the Mavic 2 series of drones! The Mavic 2 Pro features a 20 megapixel Hasselblad camera system, allowing you to capture high resolution shots in a tiny package. The Mavic 2 Zoom allows you to optically and digitally zoom in and out on your shots, to create some wicked effects! Which DJI Mavic series drone is for you? 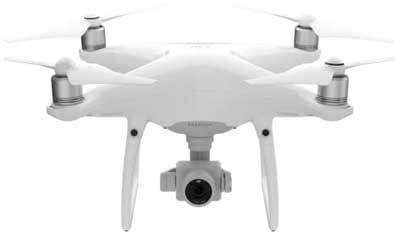 The DJI Phantom is the most iconic drone, and the first one that comes to mind when people say the word drone. I’ve been flying the Phantom series since early 2014, and they are a very capable and productive drone capable of a variety of missions. The Phantom 4 Pro and Advanced drones feature a 20 megapixel camera, with a global mechanical shutter. What does this mean? Well, it means that your shots are crisp, and aren’t susceptible to jello or pixel drag. Not only will you be able to have full control over your shots with the mechanical shutter (think DSLR capabilities), but you’ll also have an excellent mapping drone that produces sharp maps and models! In addition to the Phantom 4 Pro and Advanced drones, DJI also sells the Phantom 3 SE. I flew my Phantom 3 series drone for 2 years, and it was an absolute workhorse for me. Even thought I’m flying the P4P now, the stability and reliability of the P3 series still make it one of my all time favourites. When the DJI Inspire series was first announced, there was a lot of rejoice from the drone community due to the interchangeable camera capability. Not only were you able to change between a variety of standard cameras, but you were also able to add zoom lenses, infrared, and a variety of other payloads. It was only a matter of time before the DJI Inspire series became the professional drone standard. The Inspire 1 is now a budget friendly option, that allows you to use a variety of Zenmuse cameras, as well as the fully integrated infrared FLIR XT. If you’re looking to use infrared on an inspire series, be sure to take a close look at the Inspire 1, as the Inspire 2 won’t allow you to fly the FLIR XT. What the Inspire 2 lacks in FLIR capability, is seriously overcome in it’s camera capabilities. Not only can you carry the initial cameras that fit the Inspire 1, but you also have access to the high resolution and massive sensor on the X7 camera. For professional videographers that want an integrated system, look no further than the Inspire 2 and X7 combo! Building upon the massive popularity of the DJI Mavic series drones, DJI has upped the capabilities with the release of the Mavic 2 Enterprise series. Not only do you have the excellent reliability of the Mavic, you can now add multiple payloads depending on your flight mission. The Mavic 2 Enterprise allows you to payload swap based on the mission. You can add accessories such as a spotlight, as well as a loudspeaker to assist in your S&R and many other missions. Want to go even further? The Mavic 2 Enterprise Dual has an integrated FLIR camera system. The FLIR and standard colour camera system are side by side, allowing you to easily flip back and forth between each visual mode. This is an excellent option for first responders looking for quick looks in a variety of applications. The Matrice 100 is a customizable quadcopter for developers. At its roots, it is a stable aerial platform, that allows you to attach a variety of custom payloads, and develop with the DJI SDK. Featuring expansion bays and universal power and communication ports, you can let your imagination run wild and program and build anything you need to complete your flight mission. by applying your knowledge and skills to cutting-edge flight technology. If you think it’s possible with drones, the DJI Matrice 100 series might be for you! The DJI Matrice 200 series drones are an extremely powerful platform, allowing for flight in almost any weather condition, as well as multiple payloads on the same flight. 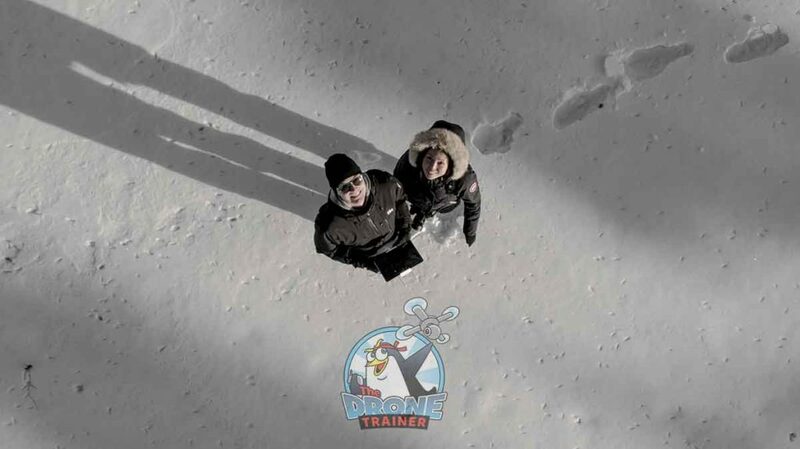 With weather resistance, and ability to fly in temperatures as low as -20 C (-4 F), you’ll be able to stay in the air more often than with many other drones. The M200 allows for single payload, however the Matrice 210’s allow you to carry two payloads at once. You can configure the drone for dual payloads on the bottom of the system, or one below and one on top to allow for inspections under bridges, scaffolding, etc. With the M200 series also comes the FLIR XT2 camera system, allowing for simultaneous colour and infrared views. With that, the M200 series has quickly become the gold standard for inspections and public safety missions. Building off the massive success of the Phantom 4 Pro and Advanced’s mapping capabilities, comes the Phantom 4 RTK. RTK stands for real-time kinematic, which is a positioning technique utilizing satellite navigation to enhance the precision of position data derived from satellite-based positioning systems. This allows you to have extremely accurate drone positioning during flight, as well as highly accurate GPS coordinates written to your captured imagery. The result? Extremely accurate maps and models without 100% reliance on surveyed ground control points. If you are a surveyor, or a drone pilot that often creates maps and models, you should take a hard look at the Phantom 4 RTK. Osmo, Smart Controller, Goggles, and more! The DJI Osmo Pocket is a tiny yet powerful stabilized camera system, that fits nicely in your pocket. In addition to the Osmo Pocket, we also own a DJI Osmo Mobile 2, which allows us to use our smartphones on the stabilized gimbal. Which one is right for you? Well, it depends on what you have already. If you have a smartphone that takes high quality photos and video, and don’t mind the extra size, the Osmo Mobile 2 is a great choice as it’s much cheaper. If you don’t mind spending a little more, and want to take advantage of it’s tiny size, the pocket is definitely the way to go. Recently at CES, I was able to wander around with the Osmo Pocket and capture a heap of footage, without having to worry about extra bulk. It’s a tiny and sharp little 4K system that any mobile videographer should add to their arsenal. Flying a drone by watching it in the sky, or keeping an eye on the screen is one thing, but wearing goggles that really immerse you in flight is another! If you’ve ever wondered what it is like to be a bird soaring the skies, then the google experience is for you! These things are pretty cool in that you can sit still and just let the drone take you through all the movements, or you can move your head to control the camera. Yeah, that’s right. You look left, and the camera looks left. Amazing isn’t it? One word of advice if you’re going to fly with goggles, is bring a chair with you and sit down. 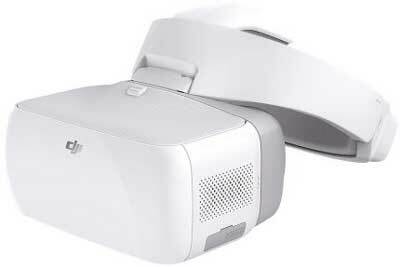 Many people try and stand, and then end up falling over due to the simulated motion you see through the goggles. You’re welcome for that quick tip! The DJI Smart Controller is a new release from DJI, and works with the newest Mavic 2 series drones. The beauty of this device is that it has a high resolution screen built in. Many other drone systems have built in displays, but this thing is super bright and easy to see in almost any lighting conditions. One thing to keep in mind if you use a device like this is battery power. 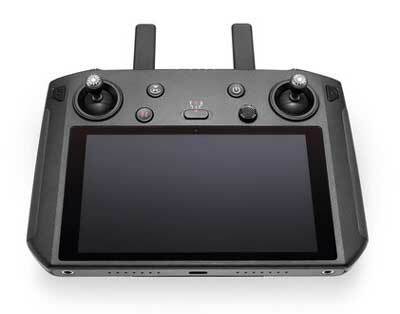 If you’re using your own phone/tablet to control your drone, you can swap them out or charge batteries between flights, whereas with this thing you’re stuck with the built in battery and when it’s done, it’s done. The great part though is that you can plug the controller into external power while you’re using it, to keep you going all day long… you just have to be near a power source! 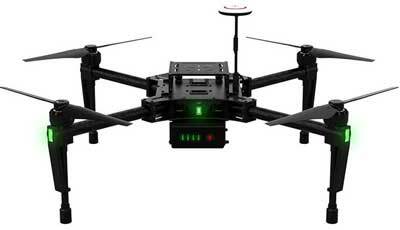 The beauty of the Inspire and Matrice series drones is that you can interchange the camera systems. 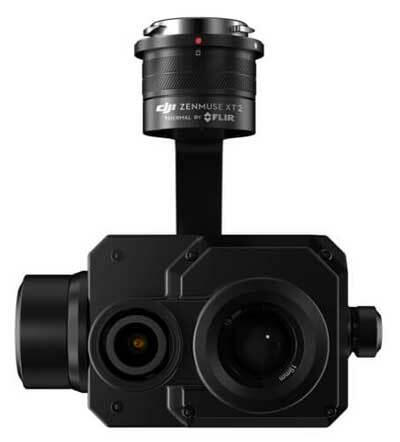 Starting with the Zenmuse X3 on the original Inspire 1, we now have options all the way up to the wonderful X7 and even some great infrared options from FLIR. Be aware though that not all cameras work on every drone. The XT for example only works on the Inspire 1, but doesn’t work on the Inspire 2. 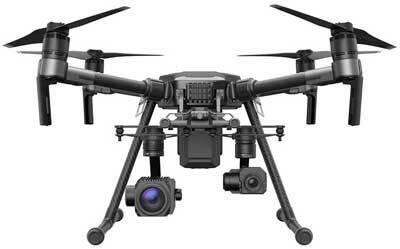 There is a FLIR XT2 camera system, however that can only be used on the Matrice 200 series of drones. Same goes for the X7 camera system, as you can only fly that on the Inspire 2. It makes sense that DJI wants you to buy the latest and greatest, so if you have some of the camera systems already, or one of the Inspire or Matrice systems, be aware that not everything is interchangeable. Anyway, check out the awesome selection of cameras and payload sensors that are available right here! Check out some of our recent content!